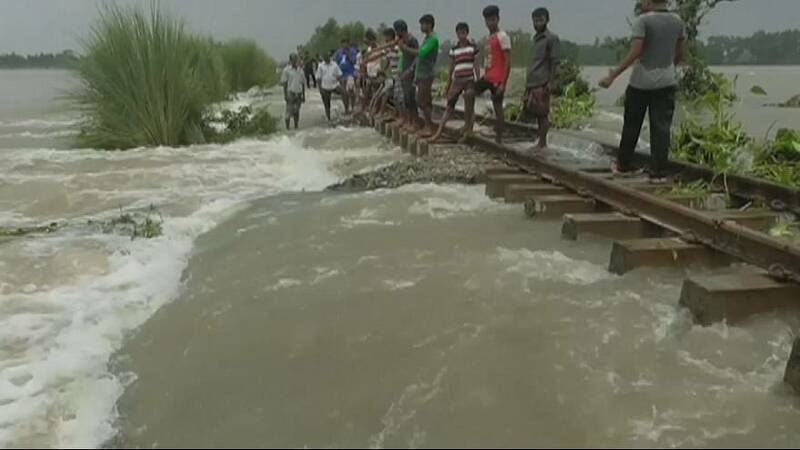 More than 170 people have been killed and millions more displaced by heavy monsoon rains and landslides across Bangladesh, northern India and southern Nepal. At least 18 major rivers were flowing at dangerously high levels on Monday as weather forecasters predicted more rain for some areas. Several casualties were reported in multiple locations across the Himalayan foothills of South Asia. Bangladeshi authorities say around 368,000 people have taken refuge in nearly 1,000 government shelters.